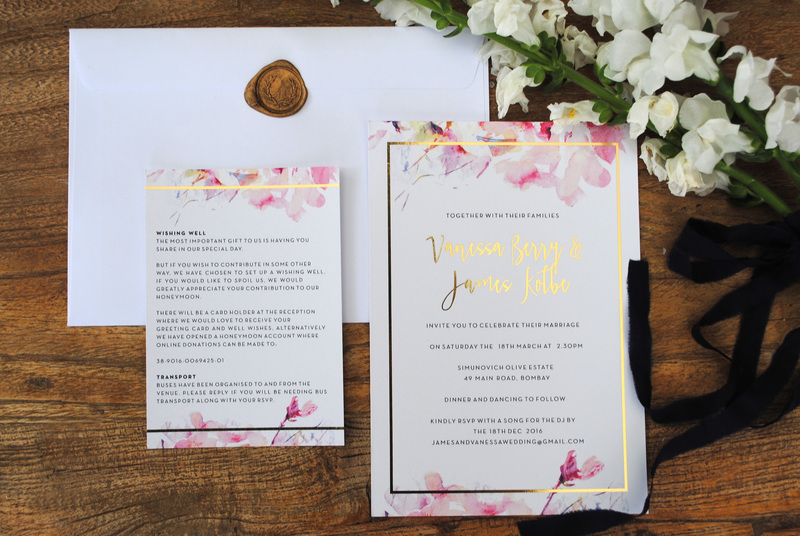 Understated opulence is at the centre of this modern stationery look. 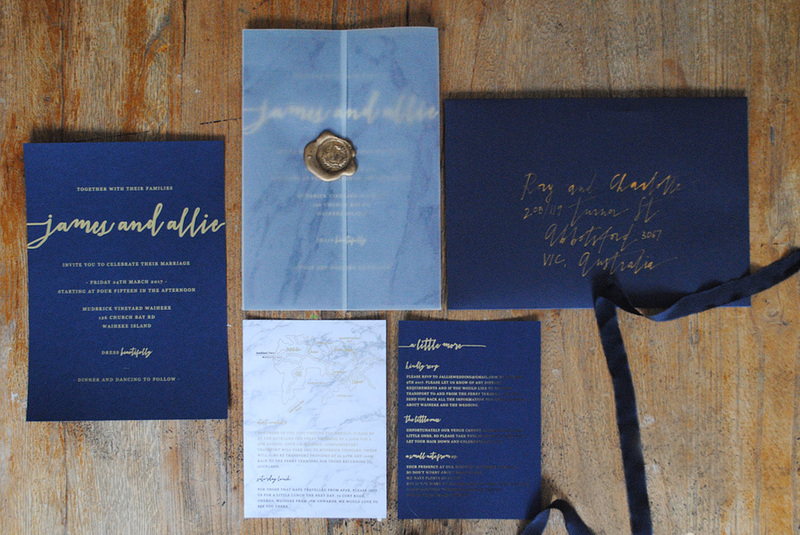 Marble, Navy and gold all blend together beautifully to produce invitations that just project luxuriousness. 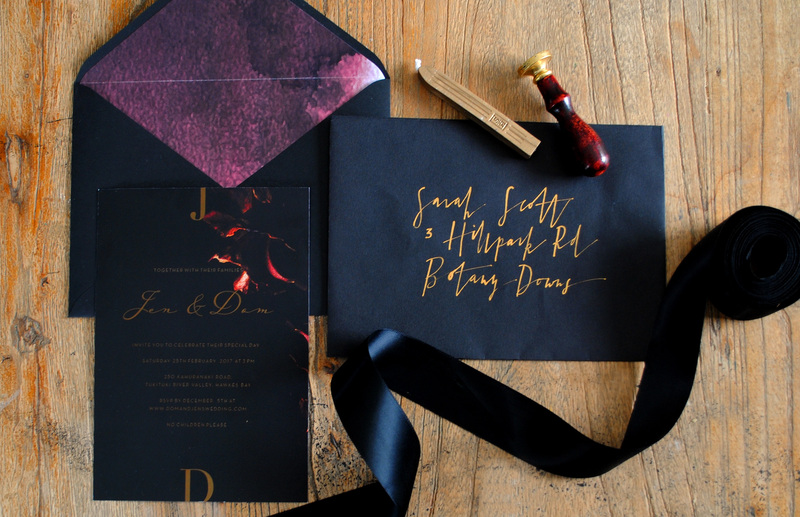 Dark, moody and incredibly luxe this stationery set makes the ultimate statement. A rich colour palette, copper foiling and distinct floral photography combine to produce a suite that is sophisticated in many respects. 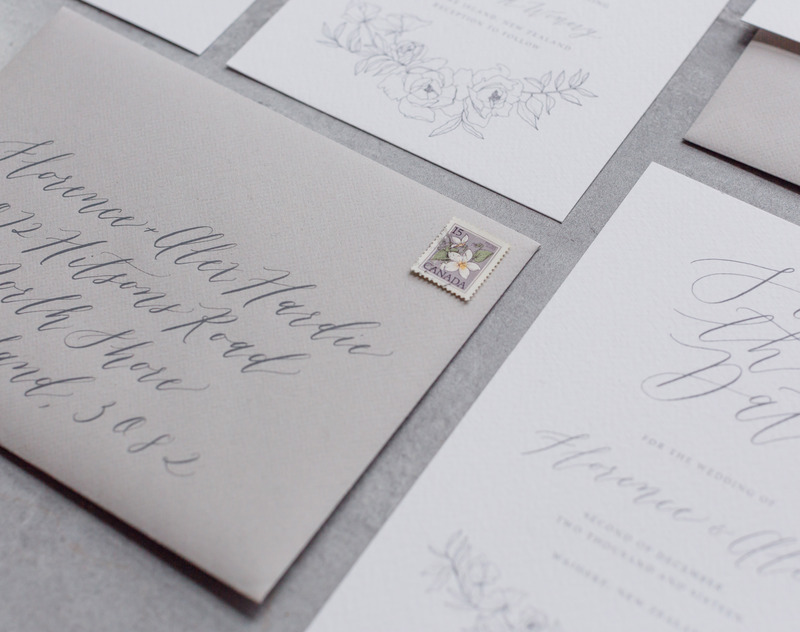 Hand drawn calligraphy gives that wildly romantic touch whilst still maintaining its modern appeal…..
A light, airy and wonderfully fresh wedding suite…. 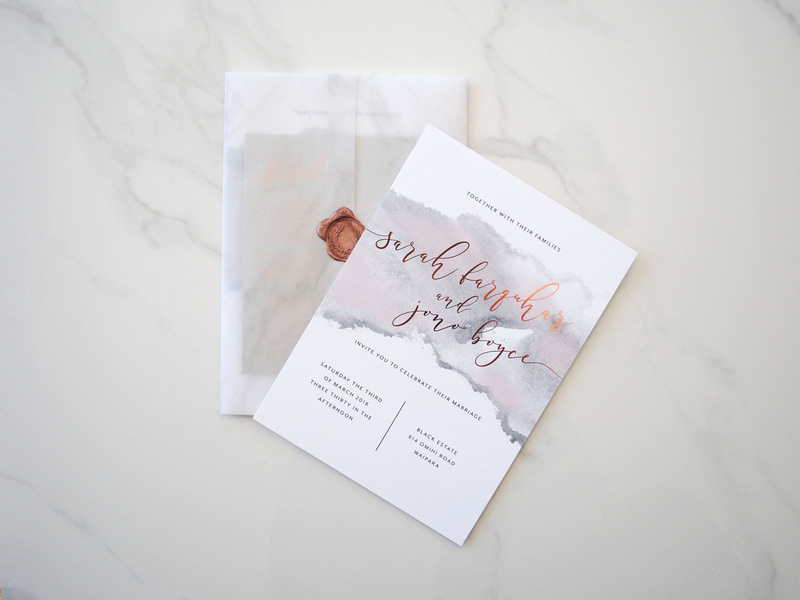 The Semi-Custom Collection offers a range of beautifully bespoke invitations, perfect for the couple looking for unique and organic wedding invitations, that’s quick and affordable. Available for order online.